Though the task of this studio was to kill microbes and dangerous pathogens through anti-microbial architectural elements and surfaces, Florence takes the inverse approach. Through the use of plants, such as Algae and Devil’s Ivy, not only is the oxygen level in the room increased, the microbes are as well. 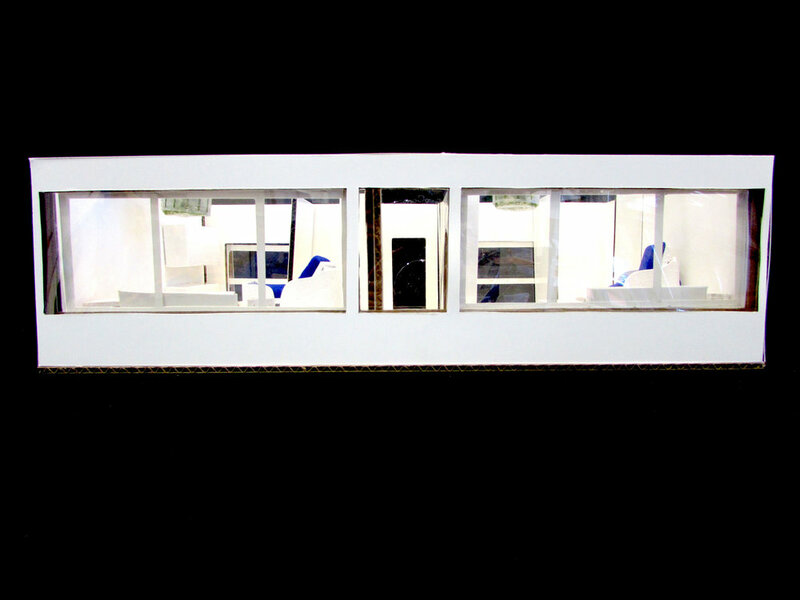 By increasing the level of “outdoor” microbes in the room through the use of soilless plants, minimal water, and the existing mechanical air systems, competition for dangerous pathogens is generated. 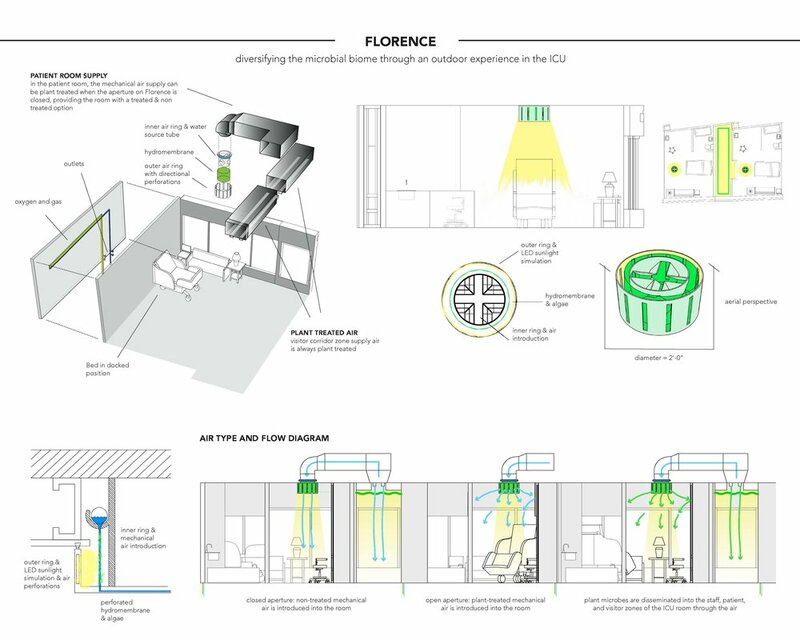 Florence provides a contained outdoor experience with sunlight simulation, plant life, and air while simultaneously suppressing dangerous microbial communities. In 2015 Florence became a grant award winning project and was prepared into a patent pending design to adaptively reuse existing mechanical air systems, improving air quality in hospitals. 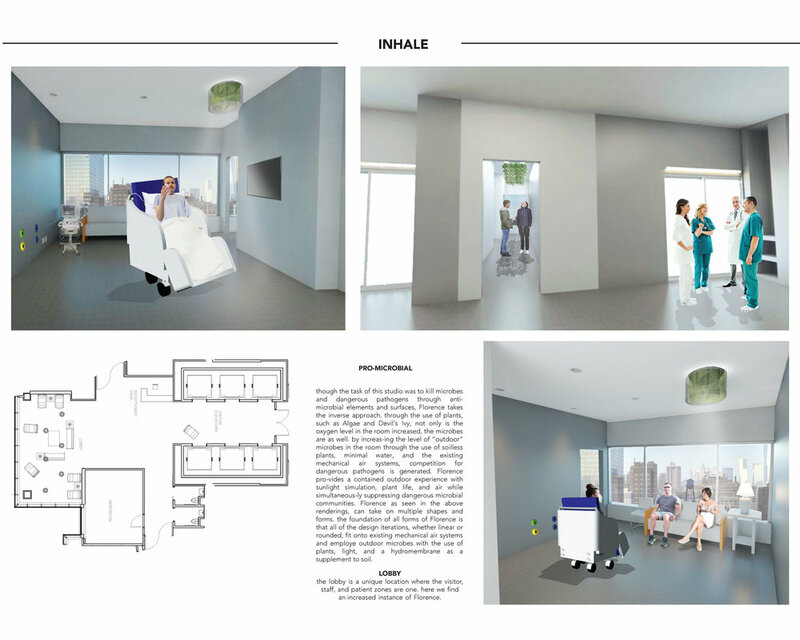 This patent pending design of healthy mechanical air purification systems for hospitals furthered Lea's exploration of the subject; the development of wellness-driven technologies and architectural systems.